Covering the history of the Sacred Stone of Destiny and how it has played an important role in Scotland's view of national identity. 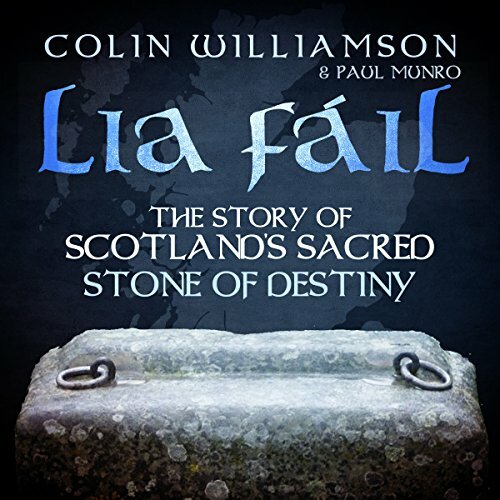 From before the written word until its final resting place in Edinburgh, Colin takes us through an enchanting journey of Scotland's Sacred Stone of Destiny, known in Gaelic as the Lia Fáil. Colin Williamson works throughout Scotland as a guest speaker, storyteller, and guide, contributing to community radio stations with engaging story packages. His naturally deep Scottish accent enhances the ambience and engagement of the piece for the listener. Not restricting himself to just the microphone, he has worked with many educators in providing different ways of engaging with students who have personal challenges, such as dyslexia and autism, by helping them find their inner voices and build their confidence, all of which is done on a voluntary basis.